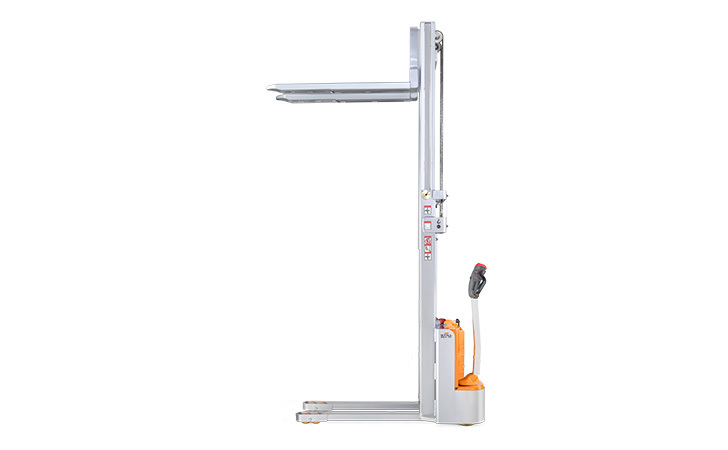 Reaching new heights: With the ECV 10 you can reach a lift height of up to 3,227 mm. 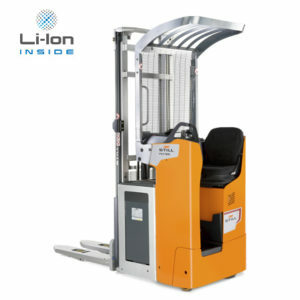 Paired with a maximum lifting capacity of up to 1,000 kg, the ECV 10 high lift pallet truck provides ideal support for light and sporadic stacking applications. 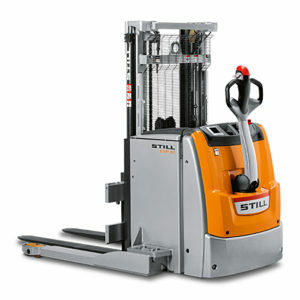 The compact truck dimensions enable transporting and stacking even in tight working areas and narrow aisles. Easy charging? 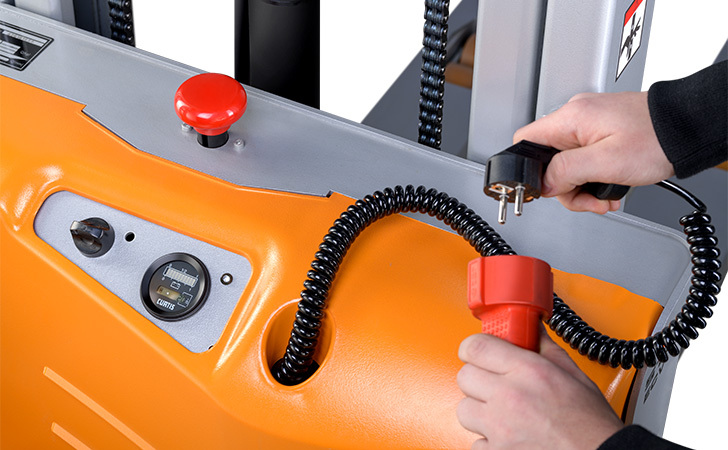 No problem – thanks to the built-in charger the ECV 10 can be recharged at any standard socket. 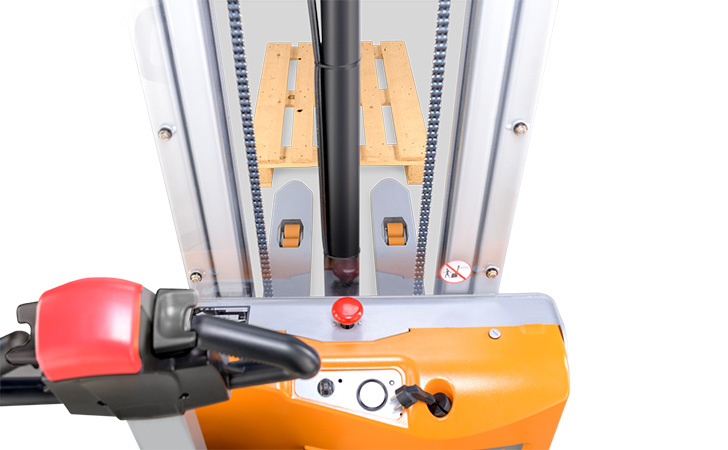 The two 12 V batteries deliver 125 ampere hours. 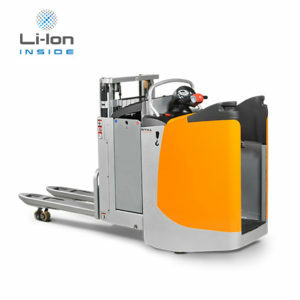 The LED display shows the current battery charge status and the operating hours, so the operator always keeps an overview. 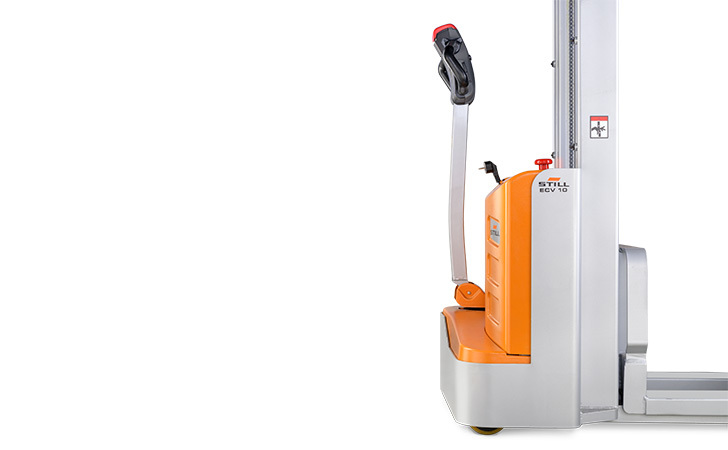 The ECV 10 also performs well in terms of safety. 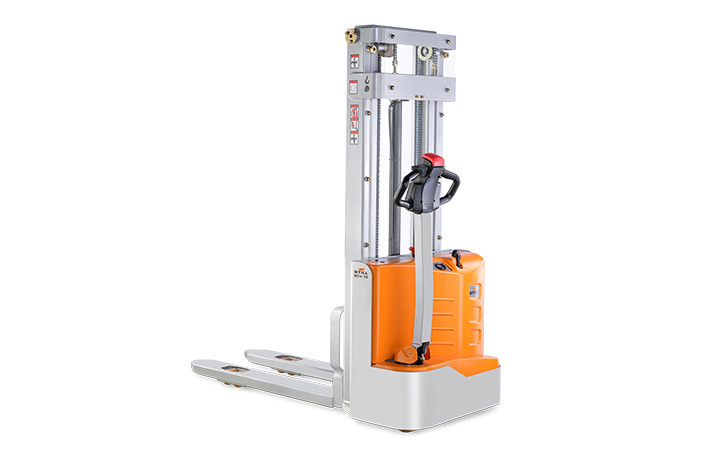 The wide view between the lift profiles allows for an optimum view of the fork tips. 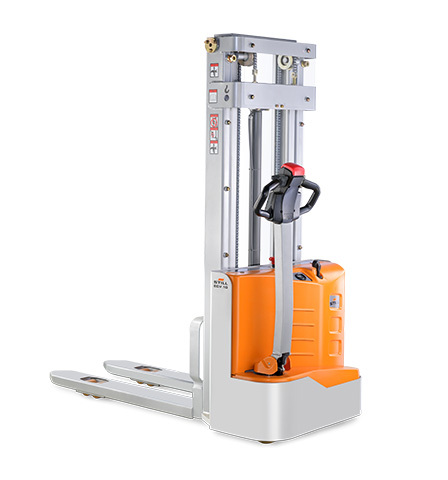 In addition, the lowered design of the vehicle frame protects the feet of operators and third parties. 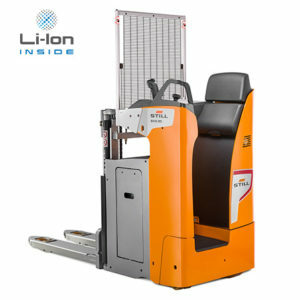 The ECV 10 is also equipped with automatic speed reduction based on lift height, to keep you safe when driving. 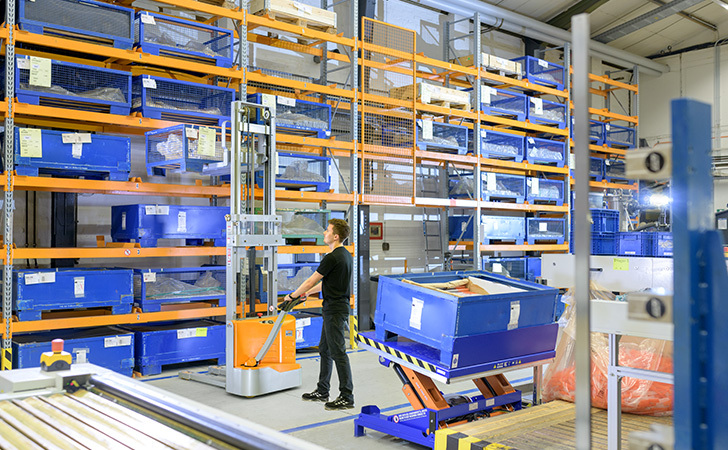 All functions can be operated with equal ease by left- and right-handed operators.